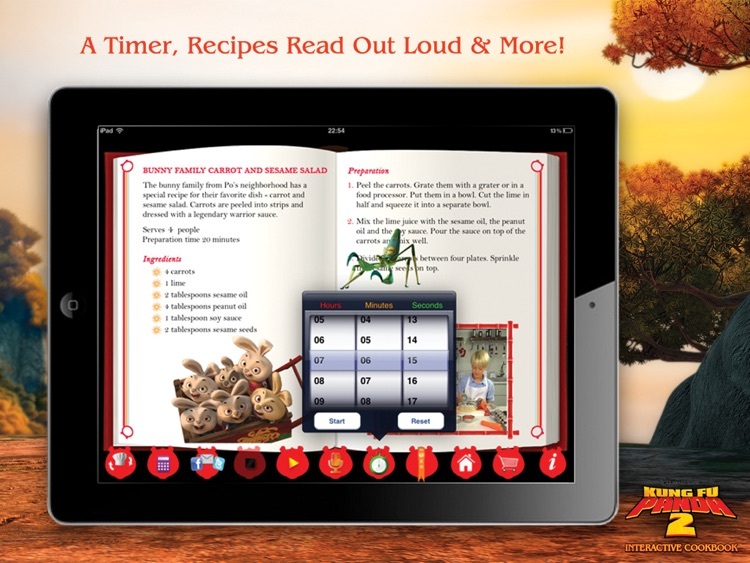 The only book platform that combines videos inside an interactive book - Watch the best Cooking Videos - on the iPad! 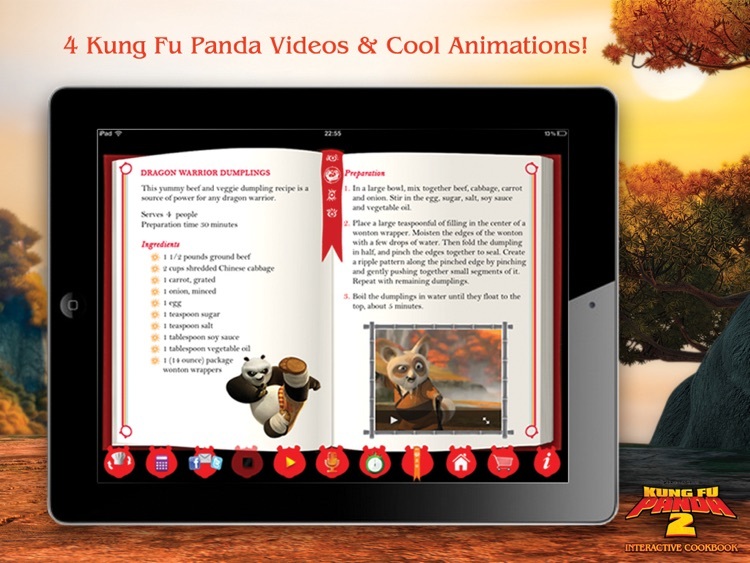 Check out the free trial version of the Kung Fu Panda 2 Interactive Cookbook, offering one of Po's favorite recipes, with full functionality. 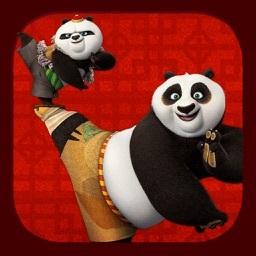 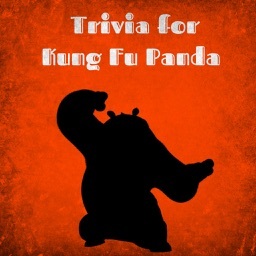 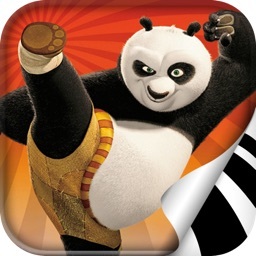 Kung Fu Panda and Cooking fans rejoice! 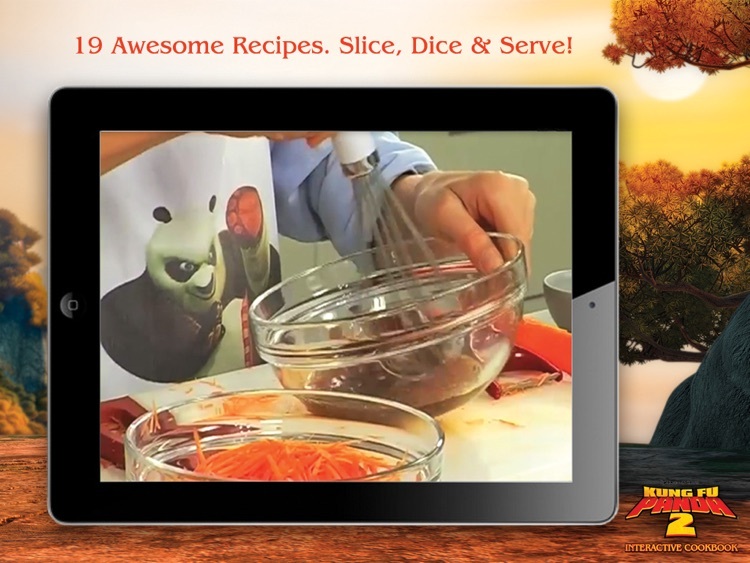 The Kung Fu Panda 2 Interactive Cookbook presents the ultimate cooking experience, offering favorite Kung Fu Panda recipes, cooking demonstration videos, clips from the movie, cool animations and much more awesomeness! 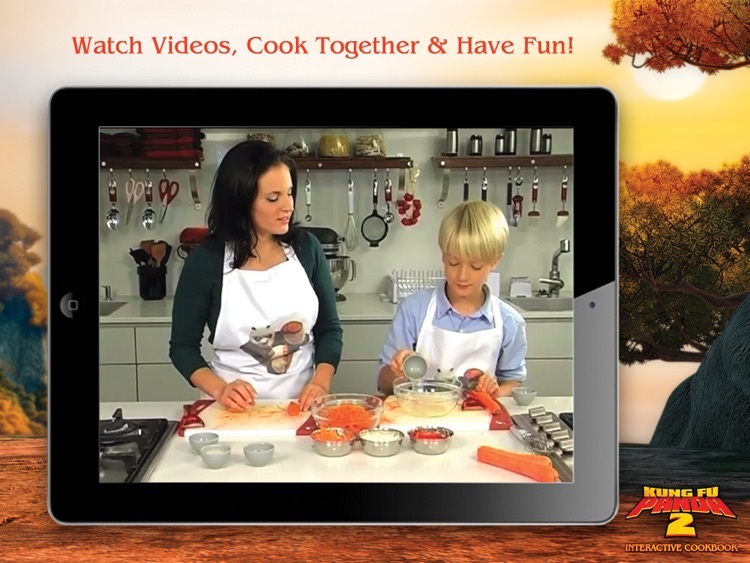 Cooking has never been SO MUCH FUN! 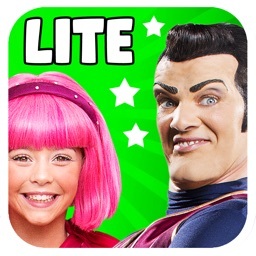 Prepared to be amazed!